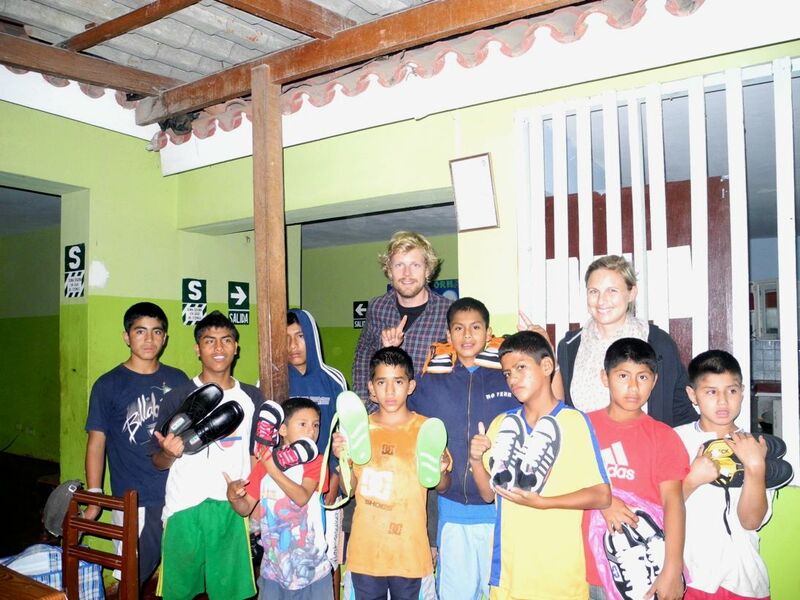 Shoes for everyone and how to load a bike for a surftrip for two? We spent one month in Huanchaco, Peru and enjoyed the time off the motorbike and the fact that we could stay at one place for more than just a couple of days. After having volunteered at “Mundo de Niños” non-profit organisation, a home for boys from the street, it was time to say good-bye. As not all of the boys had shoes, we decided to get shoes for all of them as a good-bye present. So we took a bus to the next bigger city and bought 9 pairs of shoes in different sizes and styles which was not easy at all!! On our last evening with the boys, we gave everyone a bag with his name on and a brand new pair of shoes inside. We were quite surprised by their reaction. They all were extremely thankful, apparently for some of them it was the first time ever having brand new shoes. Our social work was an interesting and rewarding experience, nevertheless we were really looking forward to continuing our trip. A lot of people had told us about a world class surfspot further up North called Lobitos. And that’s where we are now. We will tell you more about this little dusty ghost town in our next blog. This entry was posted on Montag, Juli 4th, 2011 at 15:11and is filed under Peru, Surfing. You can follow any responses to this entry through the RSS 2.0 feed. You can leave a response, or trackback from your own site.